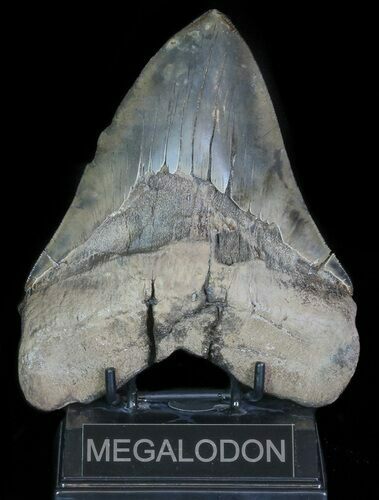 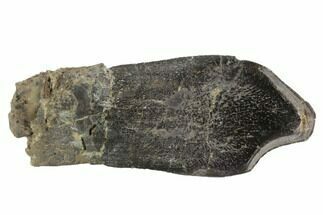 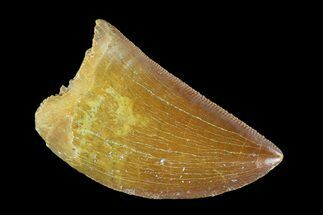 Serrated, 6.24" Fossil Megalodon Tooth - 50+ Foot Shark! 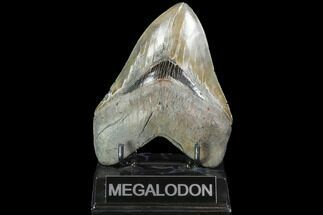 This is a massive, 6.24" Megalodon tooth collected from a river in the Georgia. 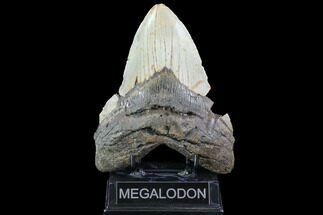 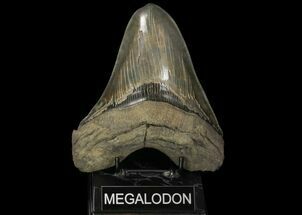 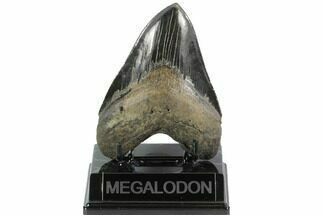 Complete Megalodon teeth over six inches are rare and would have come from super-sized, adult Megalodon sharks in excess of 50 feet. 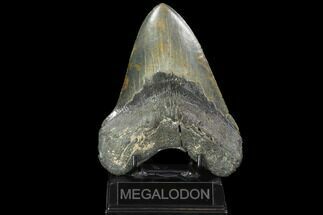 The tooth is only lightly mineralized, so it is much lighter than many comparably sized Megalodon teeth weighing only about 9 ounces. 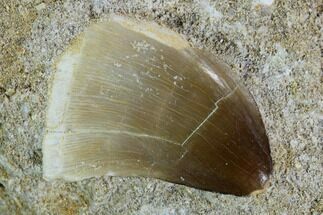 Because of this there has been some stabalization done to the root tooth (dipped in PVA) but it has not been repaired or restored. 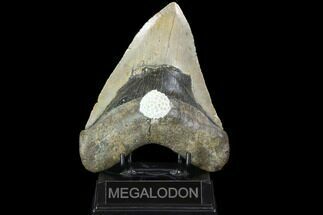 Sharp serrations, multi-colored enamel and a nice tip to it.